This work aims to help primary and secondary teachers to recognize and teach mathematically able pupils. 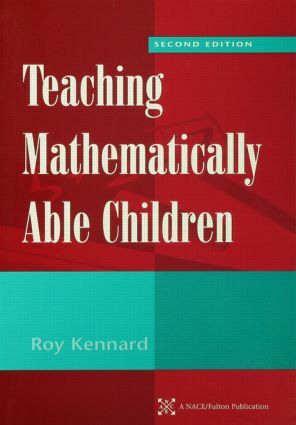 Roy Kennard reviews the characteristics of the very able pupils and shows how these characteristics are reflected in the National Curriculum for Mathematics. He goes on to show how: mathematically able children can be challenged through problem solving and interactive discussion; and the use of in-depth case studies and other examples of pupils' work makes it possible for teachers to see the consequences of the approaches discussed. This text also considers whole school organizational and leadership approaches and should be useful to school management teams or "gifted and talented coordinators." This revised and updated second edition should be of interest to teachers, advisers, lecturers and students with an interest in securing effective provision for mathematically able pupils.